To offer truly exceptional care to our patients from Massapequa Park and the nearby areas, we need to examine parts of your smile that are impossible to see with the naked eye alone. In the past, basic 2D radiography was the best way to do this. 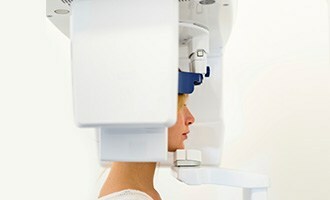 Now, however, Dr. Stutman has a revolutionary tool that provides detailed, three-dimensional images with stunning clarity. Using our office’s cone beam scanner, we can take x-rays in mere seconds, increasing the safety of the process by exposing our patients to significantly less radiation than with other x-ray devices. What exactly can we see that we couldn’t before? Our cone beam scanner allows us to see the tooth roots below your teeth, your smile’s internal canals, and even your bone structure. Because of this, Dr. Stutman can provide patients with a more detailed diagnosis. We can also create treatment plans that are more precise and personalized. Whether we’re planning a root canal or creating a computer-guided plan for dental implants, we can make our care more streamlined and comfortable through thanks to this machine. Making our care more precise and efficient also increases patient comfort and convenience as well. Since we have a cone beam scanner right here in our Massapequa Park dental office, there’s no need for Dr. Stutman to refer patients to a radiology lab. Plus, our patients can feel more comfortable knowing how much has gone into making their treatment plan as detailed as possible. For patients with dental anxiety, it can be a great relief knowing they can look forward to truly customized care that also cuts down on how much time they need to spend in the dental chair. If you’d like to learn more about our cone beam scanner and how we can use it to help your smile, simply contact our office today.